Show your love for your team every time you wear this Authentic Player Jersey from Adidas. 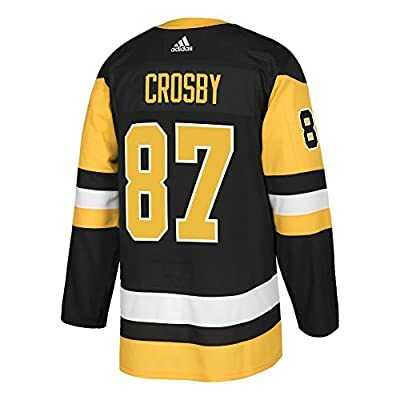 This team color jersey features the embroidered authentic team crest on the chest, player numbers on back and sleeves, open hole mesh shoulders, platinum NHL Shield on the front neck, contrast color piecing on the sleeves and sides, secondary color neck banding, Climalite technology to keep you comfortable and Adidas branding on the lower left front. Made of 100% polyester. Officially licensed by the NHL. Size breakdown is as follows: Small = 46, Medium = 50, Large = 52, XL = 54 and XXL =56.